Up to 10.3 million tonnes of sea life is unintentionally caught each year around the world, captured in nets, lines and other gear. Some of this is kept and sold, or released safely; but far too much is put back in the ocean, either dead or dying. In Canada, this includes endangered and threatened species like whales, turtles, sharks and fish. For example, an estimated 1,200 endangered loggerhead turtles are caught each year on pelagic longlines in the swordfish fishery. 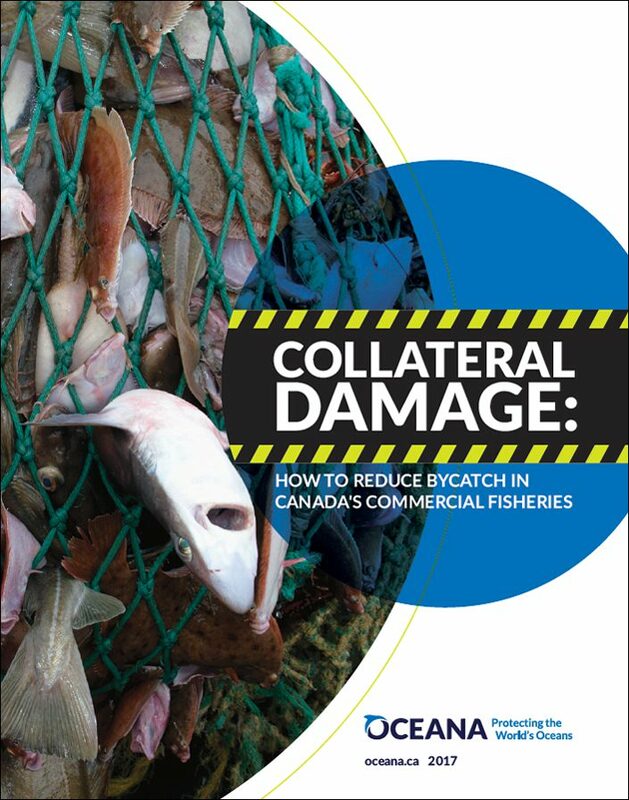 Oceana Canada’s report revealed that there are big holes in Canadian data, that our regulatory approach is inadequate and that hundreds of species end up as bycatch. The north Atlantic Swordfish fishery discards approximately 44.8% of its catch, including threatened and endangered sharks and sea turtles, as well as dolphins and whales. The Eastern offshore lobster fishery discards approximately 22%, including endangered species like Atlantic cod and northern wolffish.